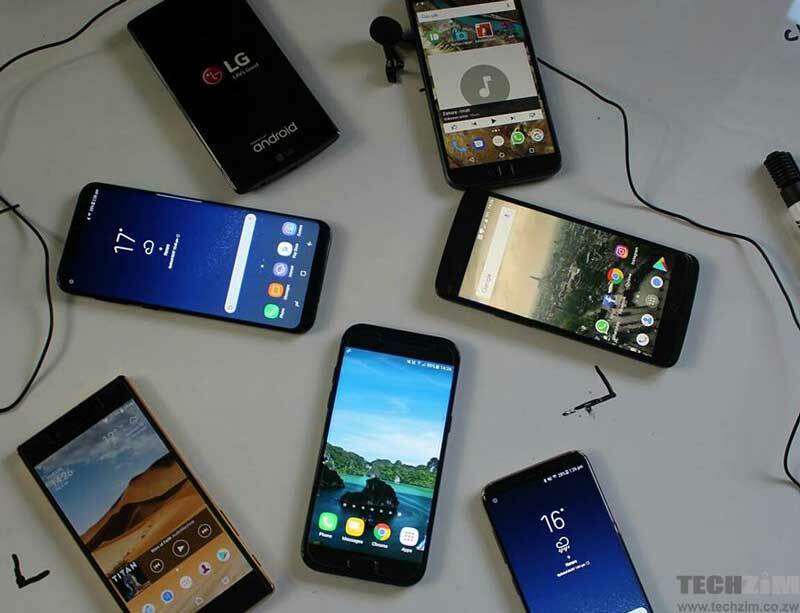 Home » Hardware & Software » Do You Know Which Phone President Mnangagwa Uses? Do You Know Which Phone President Mnangagwa Uses? Regardless of your political status, or whether you are a phone nerd or not, it is interesting to know what handset President Mnangagwa uses. We all know President Mnangagwa’s somewhat liking for social media, but what type of device is he using to post his messages? Before we reveal what handset he uses, let’s work under one assumption: that he operates his own Twitter account himself like what Trump seemingly does. And (at the moment) let’s forget those conspiracy theories that say President Mnangagwa has a social media team which runs his social media accounts. When a person posts a tweet on Twitter, the post reveals what type of a device posted that tweet. Accordingly, by checking the President’s tweets, you can see that his tweets were sent from an iPhone. The question as to whether the President is using an iPhone XR, XS Max, 7 and so on, comes to your mind right now, I presume. Sorry to disappoint but I don’t know what model he is using. Another question that comes to mind is whether the President is safe (from hacking) with an iPhone or not? Because the smartphones of high-level government officials like the President are obvious targets for foreign intelligence services or even just hacking for fun, it’s most important that they use more secure handsets. The type of handset any President use is really a big deal considering what happens in the US. As soon as the President moves into the White House, security agents scrutinize his current phone of any security vulnerabilities. Both Donald Trump and Barack Obama were given stripped-down versions of iPhone and Blackberry, respectively, that are not easily susceptible to spying, interception or hacking. Is iPhone a safe phone for President Mnangagwa? BlackBerry devices have been traditionally believed to be the safest, but lately, the iPhone has also proved to be an amazingly safe device. Apple’s iOS devices are known for their strong security, partly because Apple controls the entire device ecosystem-the hardware, firmware, and software. This makes it more difficult for hackers to find vulnerabilities on iOS-powered devices. Android devices are the opposite, relying on open-source code, meaning that the owners of these devices can tinker with their phone’s and tablet’s operating systems. However, this is changing. Google now has its own phone called, Pixel that gets security updates quickly and regularly. And Google is now trying to pressure Android-phone manufacturers to update their phones more regularly. Until Android-phone manufacturers start to offer frequent security updates, President Mnangagwa is well-advised to keep on using an iPhone as it is relatively more secure. Ha ha. Nice joke Alvin. I got a good laugh from your article. I needed it. But talk to Kaspersky, or McAfee before you make your own wild conclusions about mobile device security. 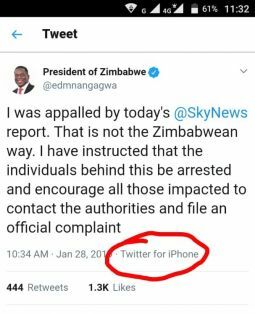 There are high chances tha someone might be managing his socia media accounts on his behalf meaning its not correct to conclude that ED is using an iPhone.